Meeting Charles Dickens | Frankly, My Dear . 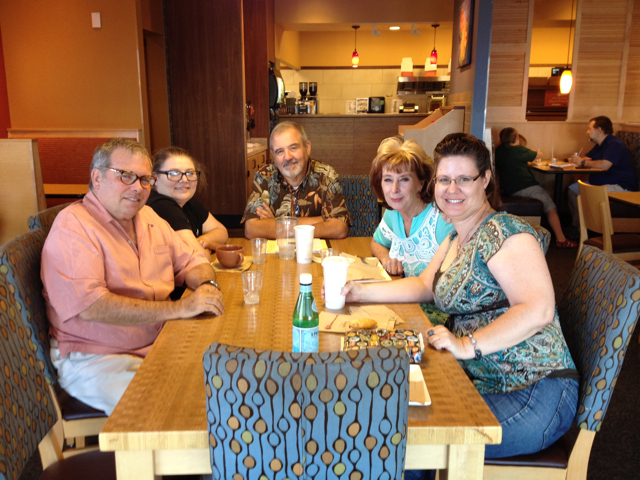 . .
Saturday was the monthly meeting of the California Writers Club, High Desert Branch. I’ve been a member for just under two years and have been, well, no other word suffices ~ I have been blessed. To be surrounded with a group of like-minded people who “get” the why of writing, who quote and embellish and say “Wait!” as we write a note on anything including our own skin if there’s no paper around ~ these are the people I live with and for. The critique groups, salons, meetings, and friendships are more than I ever anticipated being a part of. And those are on the regular days. Then there’s the special moments, like Saturday’s meeting. 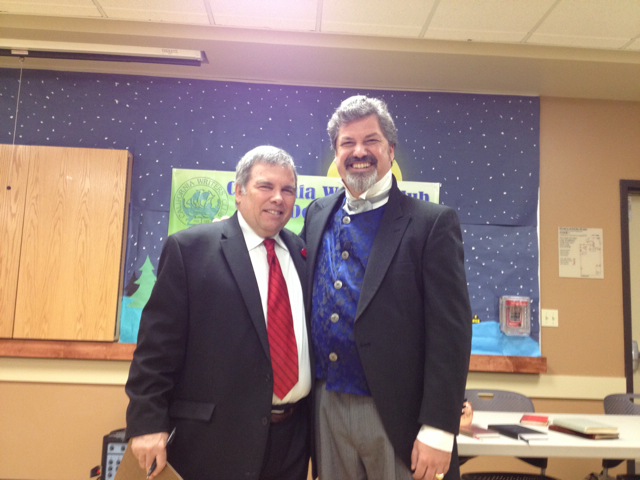 Our branch president, Dwight Norris, arranged for this month’s guest speaker to be none other than Charles Dickens . . . okay, so, obviously, not really, since the man’s been dead for nearly a hundred and fifty years. 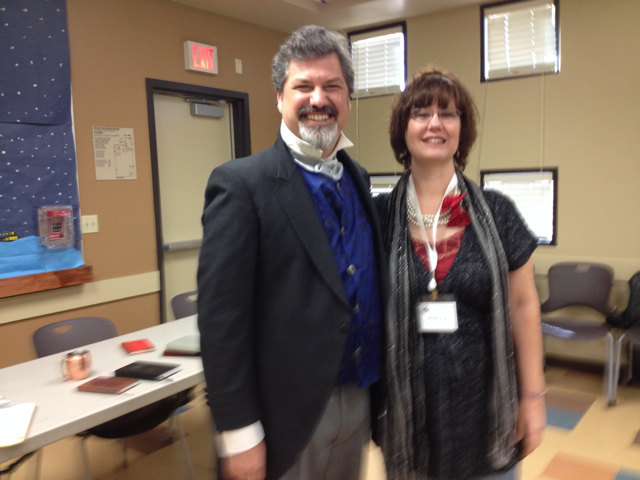 Our speaker, Paul Jacques, portrays Charles Dickens in the Riverside (CA) Dickens Festival each year. He regaled us with his performance filled with history, biographical information, Dickens quotes and readings, and all-around literary magic. I was lucky enough (or just early enough) to get the front row center seat which enabled me to capture some memorable photos and video. As you’ll recall from the very few (okay, two) videos I’ve ever posted, I’m not exceptionally gifted in the video editing department. Nonetheless, I hope you enjoy this little blurb I put together. And may God bless you, every one. He certainly does look like he enjoys playing the part! William, he was very much in character until the break. It was astounding. Like your video, Molly! Do more. Thank you, Mary. I will!